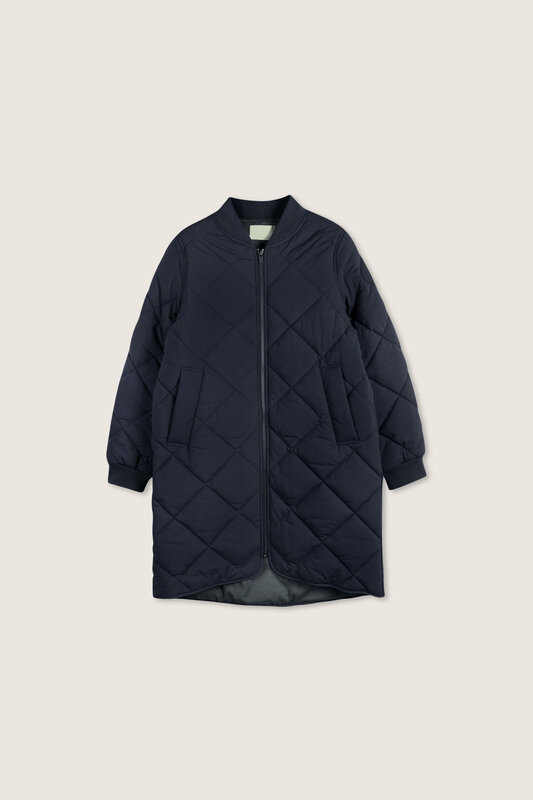 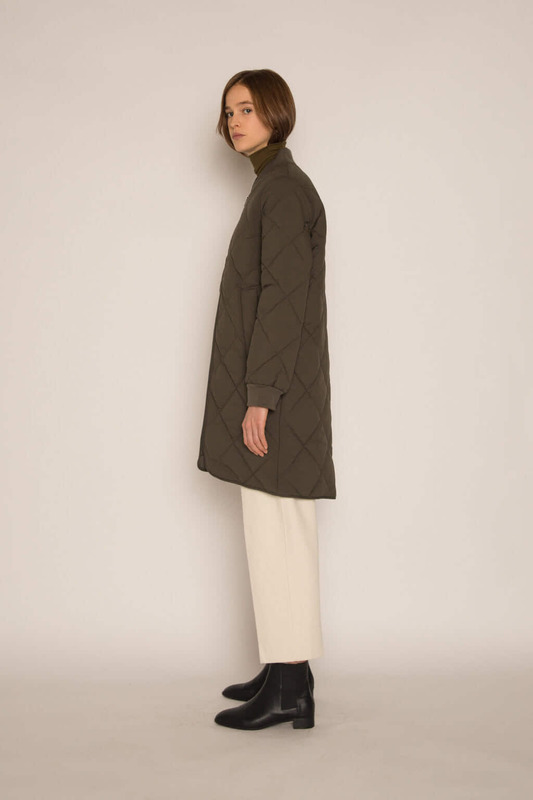 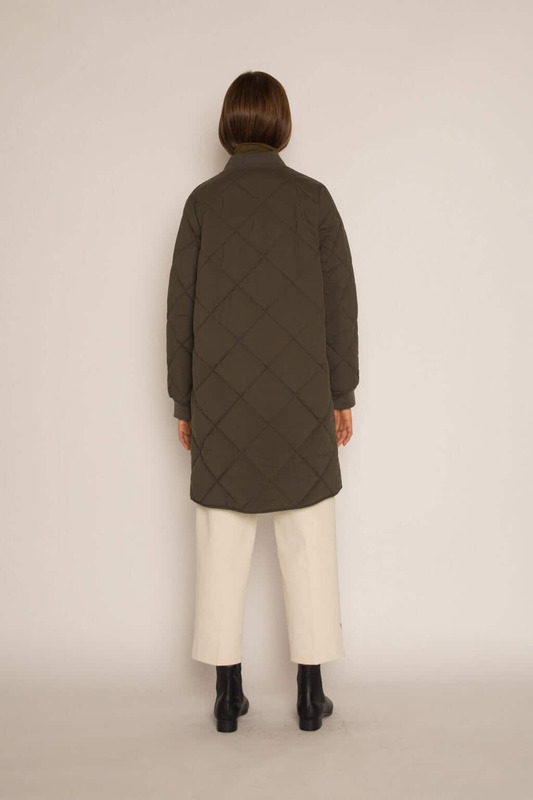 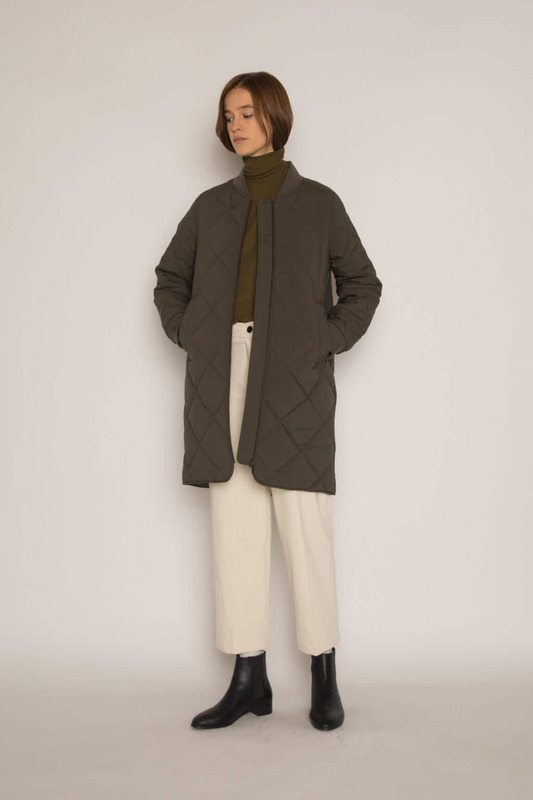 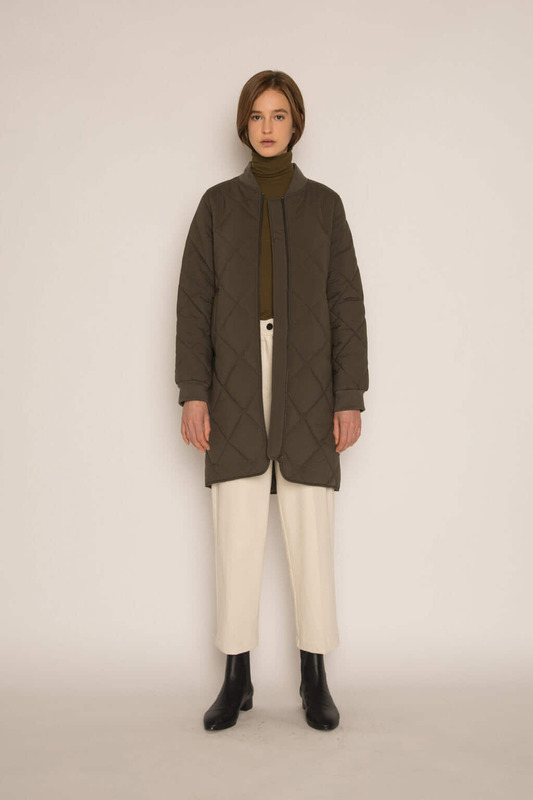 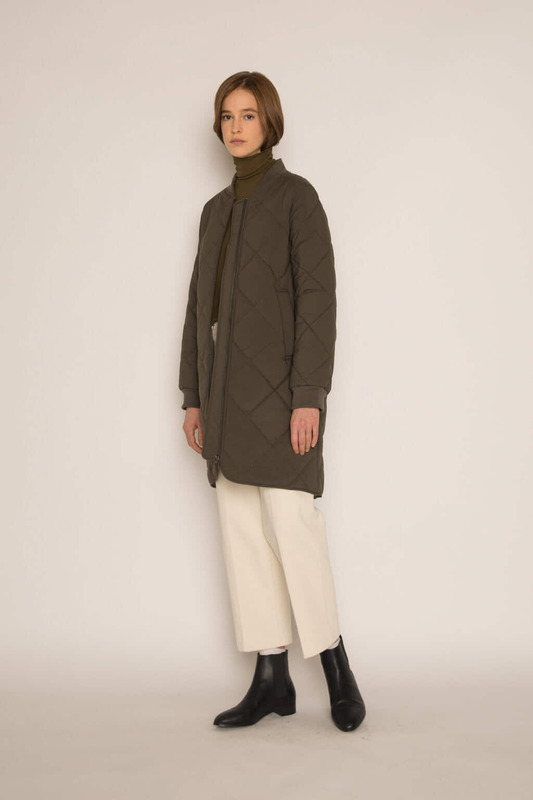 Stylish and cozy, this quilted bomber jacket comes in a longer length that will keep you warm. 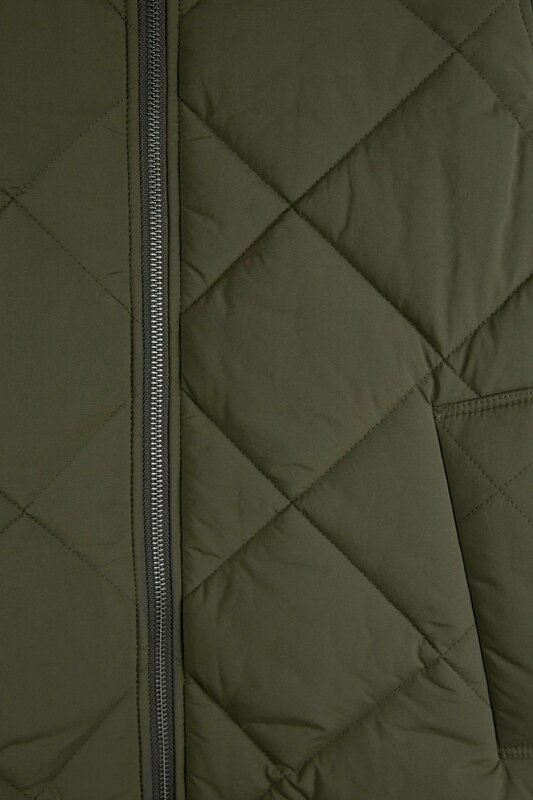 Fully lined and padded, this jacket features a secure zip fastening and side pockets for convenience. 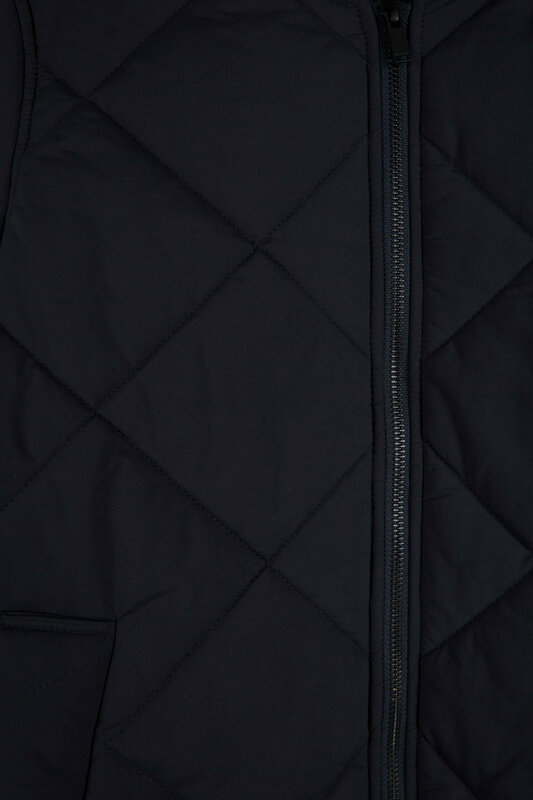 A great cold weather staple, this jacket will surely get a lot of wear.